Receiving payment for an activity but not relying entirely on it for a living. A person who is engaged in an activity on a semi-professional basis. I make my living from a combination of university teaching, conducting part-time ensembles, and occasionally performing on viola. As a conductor of several types of ensembles, and a teaching and performing musician as well, I consider all of my activity to be “professional-based.” Yet the music industry often does not always agree, as it assigns arbitrary value based on perceived prestige of any activity. What is often deemed important is often no more than a matter of who you know, where you studied, and being in the right place at the right time. There is also the plain fact that once you get a break and do something with it, then you are on your way. (That last one is a good thing if you can maintain it). But I’ll counter that if one is paid, it is professional activity. Period. If one continues to receive pay engaged in such activity, whether from one organization or by cobbling together various opportunities, it is still professional work, and is part of one’s “professional profile.” Whether intended or not, no penalty should be assigned due to location, budget size, number of concerts/recordings of a group or individual, or perceived prestige of an organization. Work in the field is work. Work builds into more work, and if it is good, it will be sustainable. I am only one example among thousands that this is true in the arts. 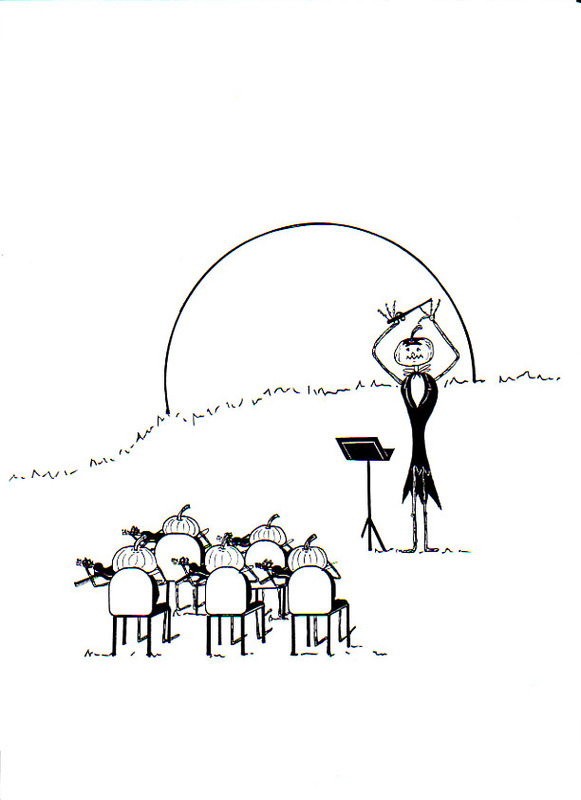 The “part-time” organizations often employ a full-time music director and part-time ensemble players. That is a budgetary reality, and a proven organizational leadership model. It says nothing, however, as to the quality of the artistic leadership, musical product, and certainly not to the worthiness of the endeavor. There are many, many more opportunities at those “part-time” levels for music-making. Do the math. The music industry does not generally value these second or third tier endeavors, instead assigning only the top-tier experience as artistically valid. Doing so actually limits opportunities and creates ever-contracting circles of work. All “tiers” are arbitrary. The industry considers them, but as individuals we may also place ourselves in boxes of our own design. The key is in seeing both realities. The so-called “top tier” of the music biz is certainly populated with talent; but also is bloated with too many fish and way too many cooks—Alpha-types bent on controlling who gets opportunities. This is most often couched as an artistic decision, but is more often based on favors, the who-you-know buddy system, and, occasionally, box office concerns. It’s not always intentional, but blinders are worn by many in the profession. Institutional blinders and individual blinders both exist. Despite the industry preferences, an appearance with a top-tier organization does not guarantee quality. More importantly, a lack of top tier work does not indicate lesser quality in other musical ventures. Some of the finest musicians I know cobble together a career consisting of various opportunities: performing in several orchestras, multiple teaching positions, freelance work, composing, writing reviews and articles, etc. I know musicians in practically every state in the U.S. and also in countries in both Europe and Asia. Most of them are engaged in professional work, regardless of their employment status with any particular organization. All of them are committed, engaged musicians. They work in the field. All work is professional work. I’ll likely not change the English language, nor the opinion and practices of the music industry. But I will contend that all musical activity is professional, especially when the musician is paid. Anything less would be semi-genuine. Copyright, July 5, 2018. Robert Baldwin, Before the Downbeat. To me, the opportunity to perform a masterwork is similar to being allowed to touch a sculpture by a great artist like Michelangelo or Rodin. To feel every texture and contour, tracing your fingers where the master artist made his/her creation; each texture, rise and fall an imprint on eternity. What’s more, if you look deeply enough, there is artistic DNA embedded there. And like a scientist, secrets will be revealed to the performing musician who studies and prepares with patience, focus and openness. Then those secrets soon begin to work their inner magic on the initiate. A musical score that weaves through the personal landscape while still clothed in tradition, Mozart’s Requiem is one of those works that is as satisfying both to the audience as well as to the performers–intellectually, emotionally and spiritually. We will preface the massive K.626 with one of Mozart’s other final and fantastically personal choral works, also written in the last months of his life, the ever-so-poignant Ave verum corpus, K. 618. Tender and introspective, it provides a perfect scene-setter to the Requiem. Yes, I’m excited about this weekend’s performance. I cannot assure that you will be transported to a different plane of existence, but why take the chance that you may miss out? It’s something special! I hope you can join us. Mozart’s Requiem has long been hailed as one of the great masterpieces of western art. To listen to this music is to be transported to a different time and space. Come hear the Salt Lake Symphony, Utah Voices and U of U Faculty Voice Quartet perform this masterpiece, as we bring our season to a close with style and gravitas. It’s a fitting end to a grand season of music. Available from utahvoices.org, or at the door with cash, check or credit card. A few holiday seasons ago, I posted a list of unknown Christmas pieces. (You can prepare for your holiday listening here, if so inclined). But for those still in the holiday of the moment, here are 13 deserving selections for Halloween that are not often played. In some cases of longer works with multiple movements, I have included a video link to only one movement. But be sure to check out the entire work. Happy Haunted Listening! The principal horn player had finished his solo with aplomb and the orchestra effortlessly elided into the new theme. All were inspired by the direction in which the second movement was headed. This followed an electrifying first movement, then a pregnant pause between movements that held the audience expectantly poised for more. Then, 31 bars into the glorious second movement, Tchaikovsky’s Fifth Symphony came to a grinding halt. The concert was going better than expected, the orchestra was tight, the emotional swells more effective than they ever had been in rehearsal and the adrenaline was pumping. Then the lights went out. Literally. The concert had experienced a force majeur. The technology we rely upon had failed. Special kudos go to the double bass section who completed their phrase in the dark. After the few seconds (that felt much longer) the emergency lights went up, and following an appropriate pause to see if it was all going to self-correct, I decided I must leave the stage to find out what was happening. The audience remained silent, not wanting to leave the emotional tracks we had so thoroughly established. Though now they were also expectantly poised in another way. It became apparent the problem was campus-wide and not likely to be soon fixed, so we cancelled the remainder of the performance, promising a return evening. The audience sighed. The air had been let out of the balloon. We had been doing an excellent job of bringing out Tchaikovsky’s expectations and surprises in the score. I espouse much of Leonard B. Meyer’s theories in preparing a score. His Emotion and Meaning in Music is required reading for my conducting students. One of the basic tenets of his theory is that our emotional response to music is based on the careful manipulation of consistency (expected style) with careful balance of delay or surprise in those expectations. Basically stated, our emotional response to music is based on the unexpected. Tchaikovsky’s Fifth Symphony is an extremely well-composed piece, with a loose program revolving around a fate-motive that appears in different guises, some obvious, some hidden—all surprises in terms of expectations. Even his chord choices in the symphony’s introduction are a study in the effectiveness of changing expectations. The problem was a power outage was not part of the performance. Tchaikovsky’s symphonies are not performance art, nor even like those of his countryman Alexander Scriabin where visual colors are integrated to certain compositions. The power outage was unexpected on all levels of our expected experience. Musicians deal with technology failures on a fairly regular basis. Reeds that split, valves that stick, strings that break are all part of the orchestral experience. But a power outage goes beyond the ability of the musicians to address or fix. The musical surprise and resolution that awaited both the musicians on the stage and the audience was taken away, ironically by the chance of fate. To say it was a let down is an understatement. This unexpected surprise did not have a deep emotional effect until much later in the evening. Once the adrenaline of the evening and lighting failure wore off, the emotional ride bottomed out. To be sure, musicians experience this as a normal part of performing. But the interruption of the music created an unusual lack of resolution and deep emotional morass that many have reported feeling, both musicians and audience alike. For most events, audience would leave saying, “Oh well, it was nice while it lasted.” But this does not happen with great music. Immediately, and for the past several days, there have been inquiries from all corners about when will the concert be rescheduled. When will we finish Tchaikovsky’s symphony? That Tchaikovsky wrote a piece that demands completion is explicit of his genius as a composer and a validation of the greatness of this particular piece of music. Like a well-crafted story we simply must follow it to the conclusion, through the many transitions and cadences, to the final exclamation point. Amazingly, this is the case even if you do not know the programmatic element of the music and significance of the fate theme. It works with or without the program because it provides a narrative that can be followed on a deeper level. Descriptive words can help explain, but they are not necessary for understanding and meaning. The good news is that we will indeed finish the story. And I am pleased to report that the concert will be rescheduled. The Utah Phil’s Tchaikovsky 5 Reboot will be Thursday, November 5th at 7:30 p.m. at Libby Gardner Concert Hall. Since every concert is different, the thrill ride we were on will undoubtedly be slightly different, too. But the spirit will remain. And we will finish Tchaikovsky’s Unfinished Symphony. Once more with feeling! Utah Philharmonia Tchaikovsky 5 Reboot: Thursday, November 5. 7:30 p.m.